I blogged recently about my chat with Ryk Goddard on ABC Radio. After our discussion, I agreed to create a little garden for Ryk with an Australian theme. 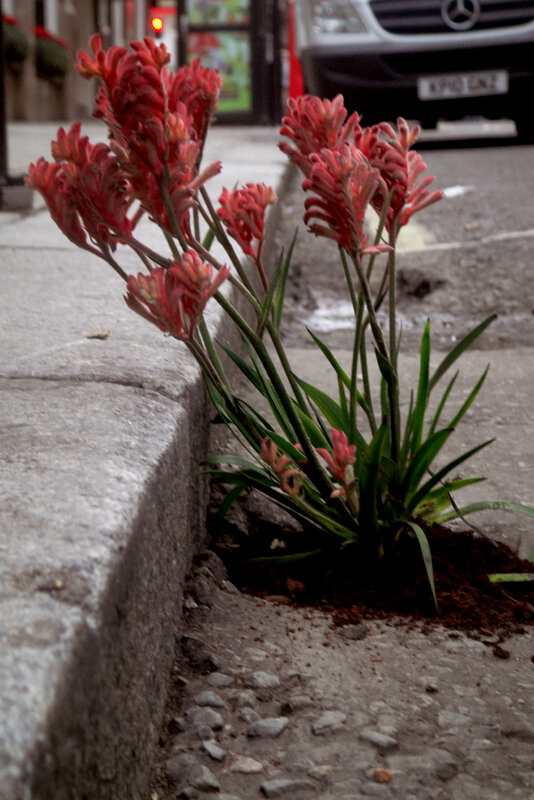 After some searching I managed to find some Kangaroo Paw in London...it's harder than you might think! Ryk also discussed Hobart's Phantom Knitter with me, a lovely project that's got plenty of press over the past few months. 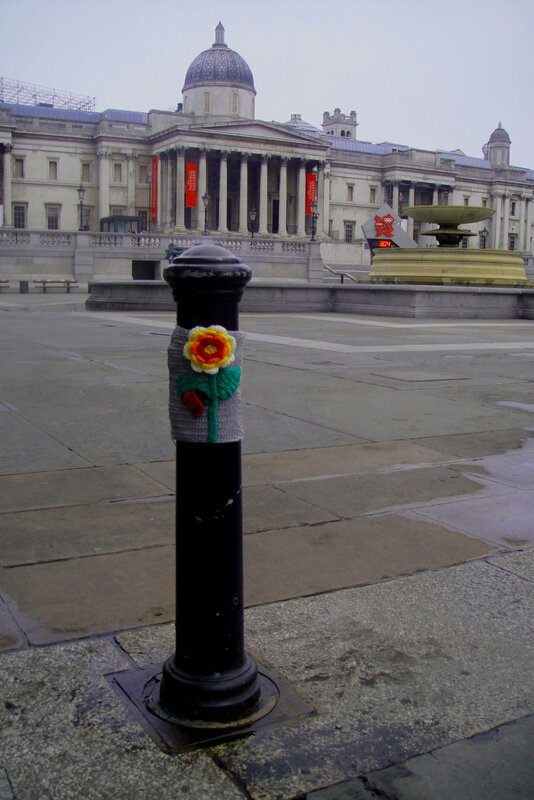 Well The Phantom Knitter posted me the cuttest little piece of knitting, which I found a home for in Trafalgar Square this morning. Here's a little video we made of our antics and a couple of pics. Enjoy! And The Phantom Knitter goes global! Keep up with my gardening antics on Facebook and Twitter! Oct 9 Floating Filipino government officials in one of my gardens!